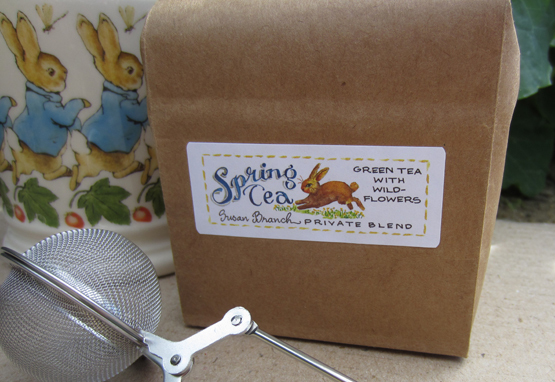 Susan's privately blended "Spring Tea" is a lovely blend of wildflowers and fruit in a green "rooibos" based loose leaf tea, with a heartening dollop of cinnamon spice for cosy cool mornings. (Actually quite yummy in any season!) Delicious alone or with a bit of honey and milk or cream. 6 oz. bag. Caffeine? No.